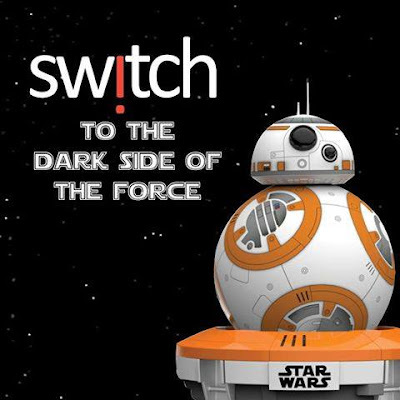 Macpower Philippines hosted a special Star Wars: The Force Awakens screening at the posh 4DX Cinema at Bonifacio High Street Central last December 18, 2015 and guests were encouraged to wear costumes that entitles them to win prizes such as the much coveted BB-8 sphero toy courtesy of Sw!tch. So here's what my daughter wore during the movie. I would have love to dress her up as Darth Vader or Chewbacca but I don't have time to buy the costume and I'm not even sure if its available here in Manila AND I'm not even sure if she wants to cosplay those characters- hahaha. So I persuaded her to cosplay as Rey. 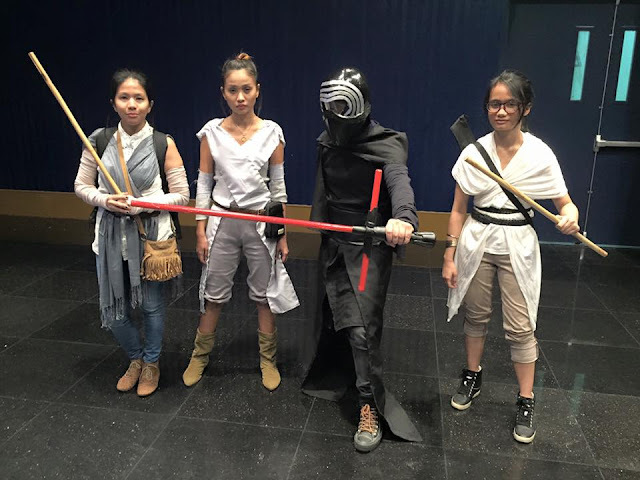 Luckily, there are tons of Rey costumes posted online so its just a matter of raiding the closet. Yey to DIY costume! 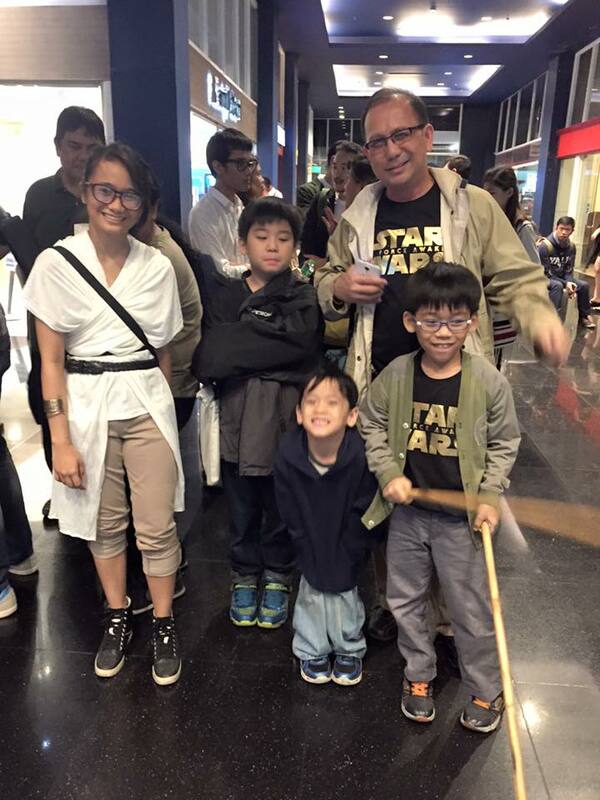 *** For the longest time since my daughter turned 4, she always say that she wanted to be a fashion designer so I know that she's over-the-moon cosplaying as Rey. 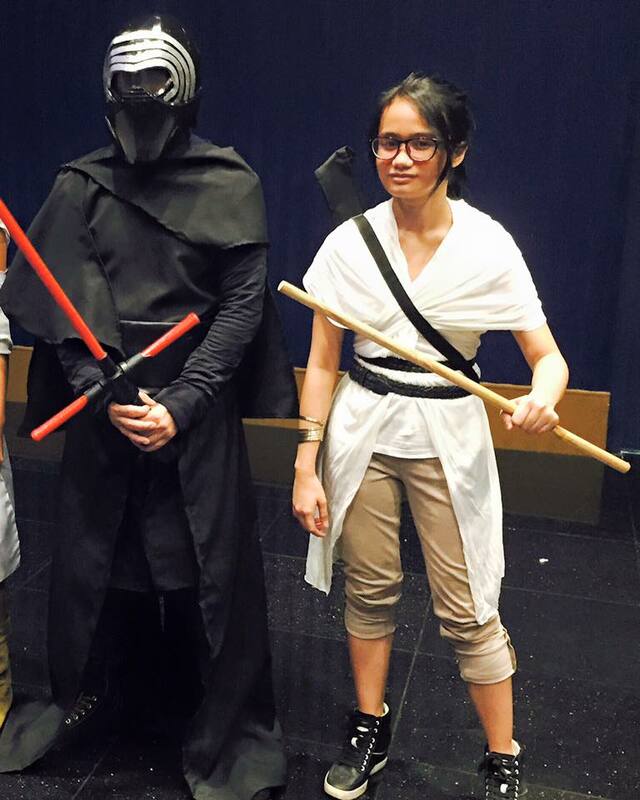 She's pictured here with Kylo Ren, a.k.a. Enzo Luna who won the BB-8 toy. Congratulations!!! My daughter Isabel enjoyed her first ever cosplay (although she used to attend Toy Cons for several years now, but she always prefers to go in OC-mode (own character). Thank you Macpower Philippines and Sw!tch for the movie treat. The rainy weather last Friday didn't dampen our mood in braving the traffic from Manila to BGC (nonexistent that day, wow!). Macpower Philippines is the distributor of Belkin, On an Off Earphones, and other gadget accessories. It also distributes the special Lumee case for iPhone 6/s which is available in Sw!tch Stores nationwide.